The landmark McKinney & Olive building is a one-of-a-kind, 20-story structure, designed by world-renowned architect Cesar Pelli. Its distinctive geometric design features a sheer curved glass façade and stands as the tallest building in Uptown Dallas. 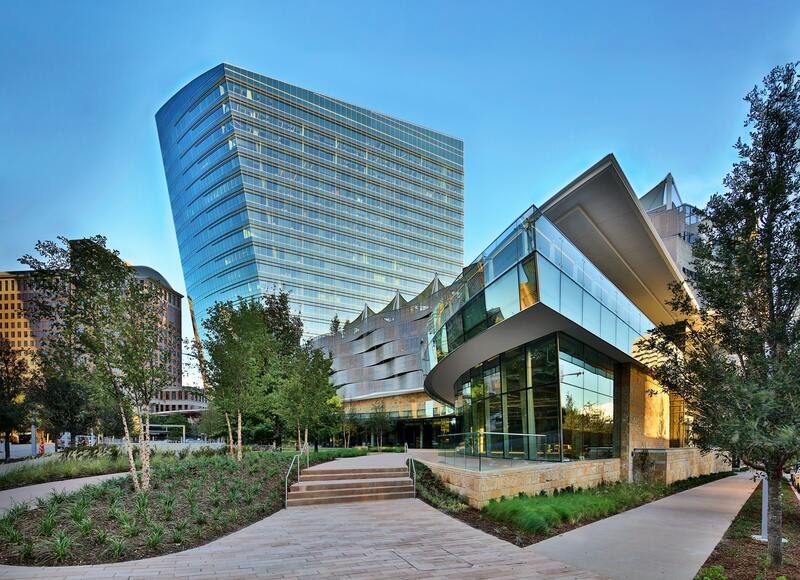 The building is easily recognizable by its striking architecture, offering 486,000 square feet of world-class office space with lofty 10-foot ceiling heights framed with floor to ceiling insulated windows, plus exclusive restaurant and retail in the vibrant neighborhood of Uptown Dallas. McKinney & Olive operates at the highest level of efficiency and sustainability. The iconic building is LEED v4 O+M: EB Gold certified. As green cleaning practices contribute to LEED credits, EnduroShield was specified to be applied to the 230,000 square feet of façade glass to protect against corrosion, etching, and staining, making the glass far easier to clean. 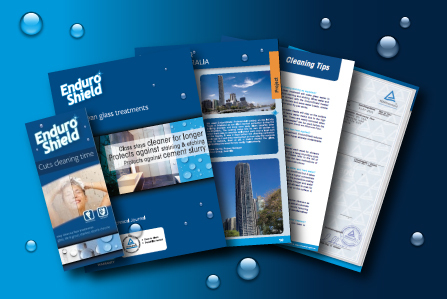 EnduroShield proves to be not only a cost-effective solution preserving glass for years to come, but also reduces maintenance time and water usage, removes the need for chemical cleaners and keeps the glass cleaner for longer between scheduled cleaning.